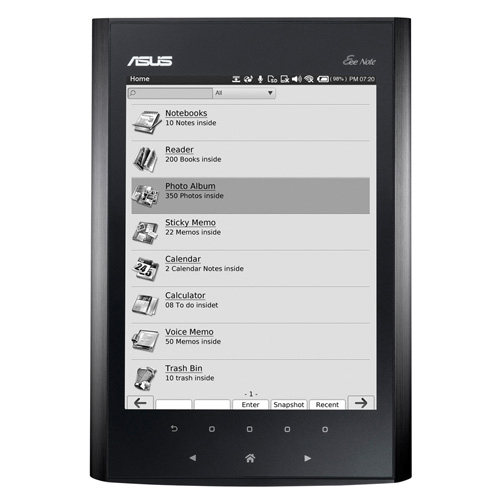 Asus Eee Note is a tablet PC of 8 inches and will sell next month. Its price is expected to be less of u$s300. Its name is officially announced and it will be called now Eee Note EA800. Asus has also put an official product page for the Eee Note. The pads of notes digital Eee Note EA800 will be thrown next month in Taiwan. Its price is expected between US$260 to US$300. This device is fed by a processor Marvel with a screen of 64 tones of gray of 8 inches with 2540dpi resolution. Its battery is 3700mAh and provides up to 13.5 hours of operation mode. ASUS deems that Eee Note EA800 will last for up to 10hrs continuous use with the wireless turned on, or 14.5hrs with it turned off. It supports PDF, ePub, MP3, JPEG, BMP, GIF, PNG, txt, doc, docx, xls, xlsx, ppt and pptx files. Its weight is 520 gram and is pre-loaded with Linux Operating System. How to Hang Art and Paintings in a Tent at an Art Festival?